Armenistis Lighthouse is one of the most characteristic buildings of Mykonos. Located in Fanari area on a hill formerly called Vourdoulakas, which means vampire. It is assumed that the name came to frighten children in order not to approach the cliffs, which were very dangerous. 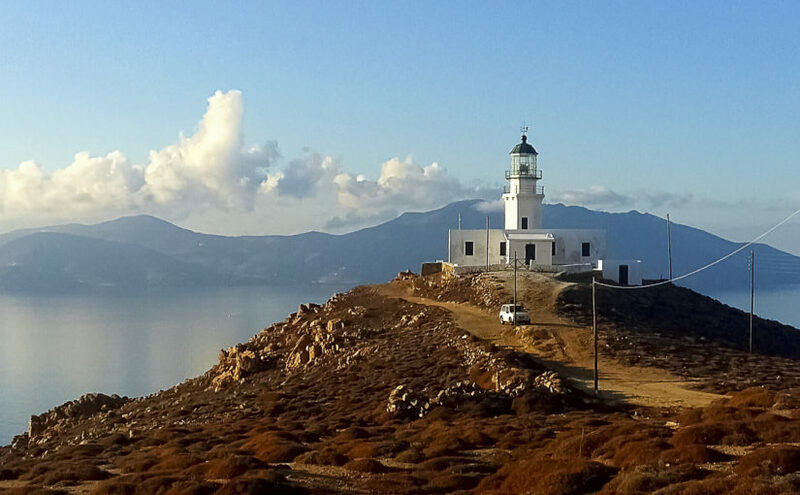 The Lighthouse though, now deserted but still functional, is a well known meeting point for visitors of the island and shelter for young couples due to it's romantic nature. It's strategic position offers great views, amazing sunsets, as it is an ideal place for contemplation and relaxation. But initially Armenistis was built to avoid accidents at sea. The reason was given by a shipwreck in the spring of 1877. Nowadays the original mechanism of the Lighthouse is located in the garden of the Maritime Museum of Mykonos as an exhibit to the public. Nammos Grand Opening- Save the Date!